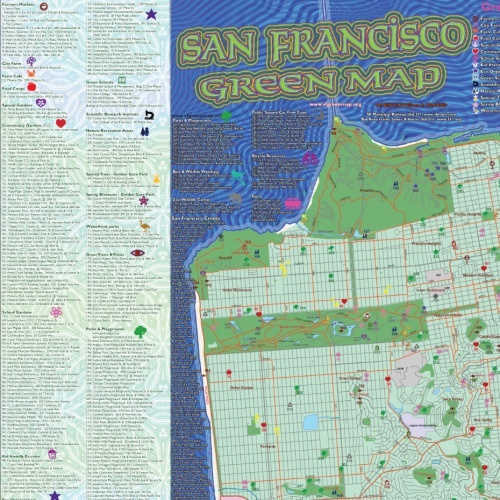 The first San Francisco Green Map was created 1998 with the community participation of local residents and special efforts by Sandrine Demchuk, Kevin Rafter, Alisa Caratozzolo, and Brian Thompson. 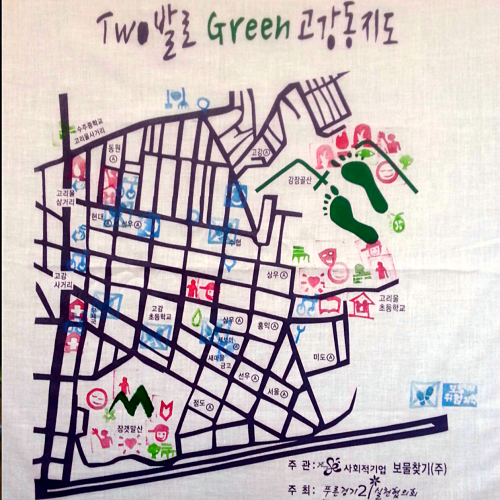 Thanks to the efforts of four friends working together, and with advice from Planet Drum's Green City Project, this edition includes a good mixture of cultural and historical locations that are of interest, food businesses, and suggestions on how to involved politically. 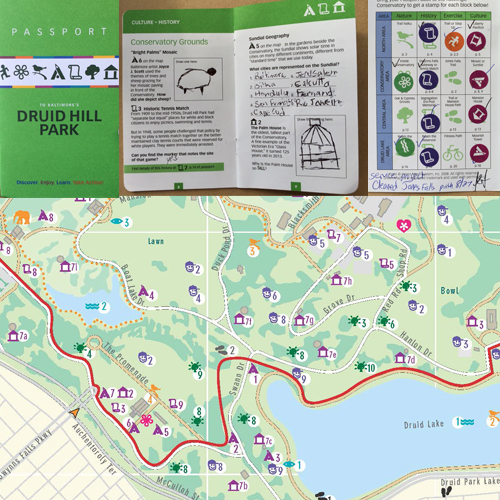 Includes transportation options and protest points, encouraging users to participate in social action. 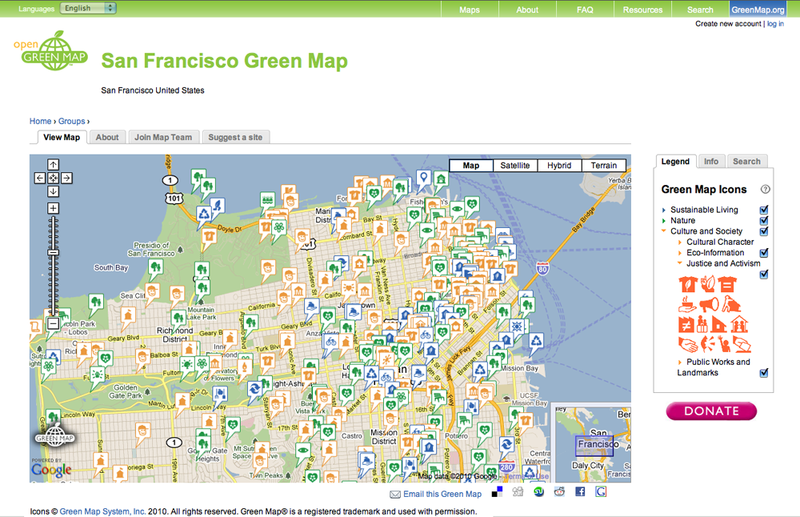 With both the needs of visitors and long term residents in mind, the map uses Market Street as a data organizing line. Defining green business was difficult so the team left many off, and invited people to comment and advise on the next edition. 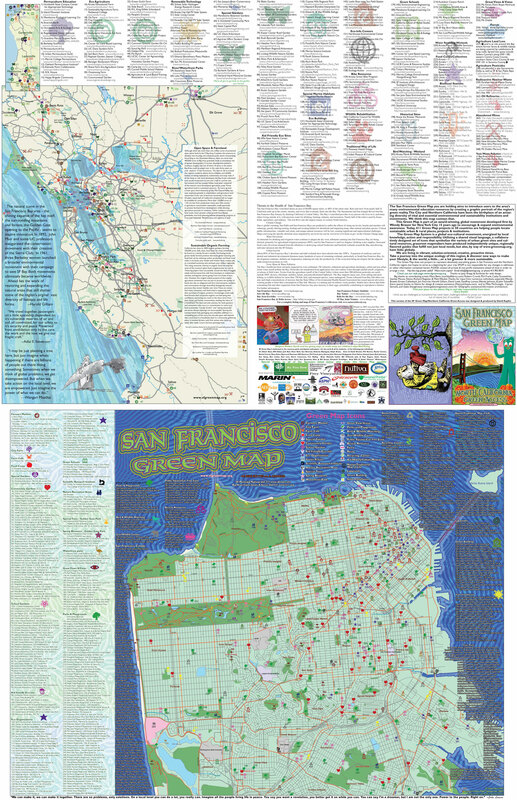 The final map was available as a printed edition using then-state of the art vegetable-based inks for distribution to San Francisco residents and tourists. 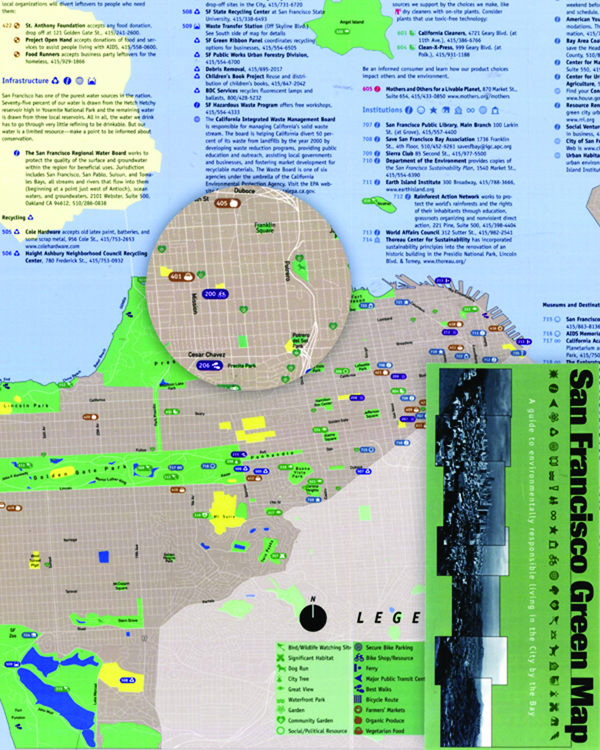 A few years later, a city-center edition was produced, followed by the remarkable San Francisco and Northern California Access Green Map. 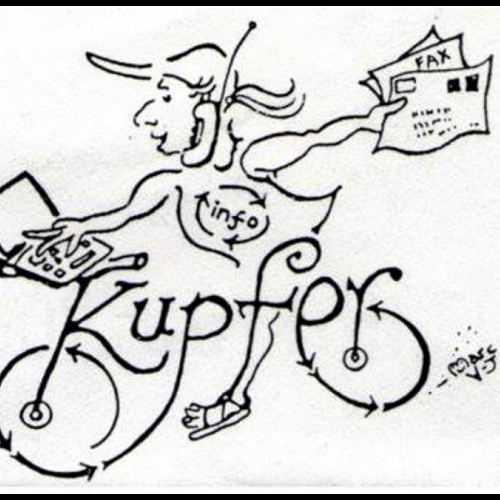 This colorful 2007 edition was created by journalist David Kupfer, and has a special focus on sustainable agriculture and local food. Much of his research was done by bike! Download it at the blue link.